Fabric lovers! 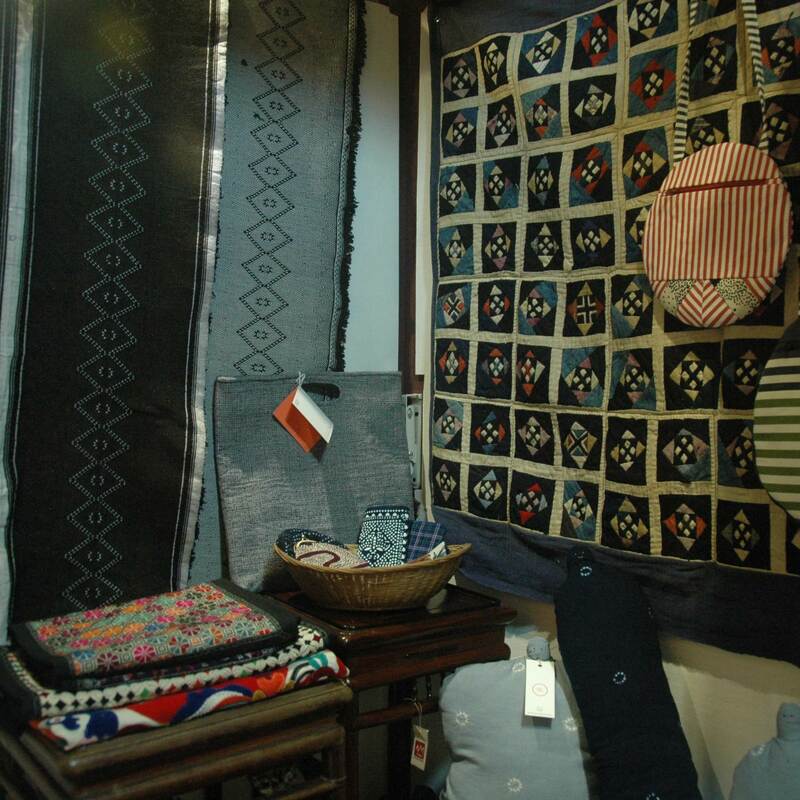 For the joint venture of Soil X Mountain Folkcraft, Something Old Something New, Mountain Folkcraft is holding a fabric exhibition. 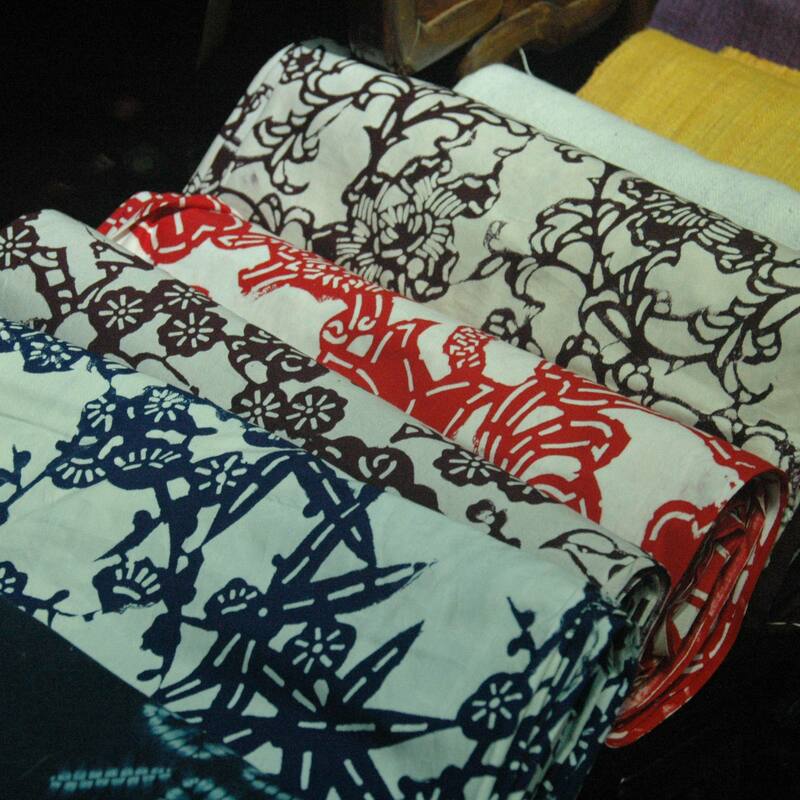 Hand woven fabric such as ikat,lime bean paste resist dye, wax resist dye, brocade, tie dye, discharge dye, patchwork. 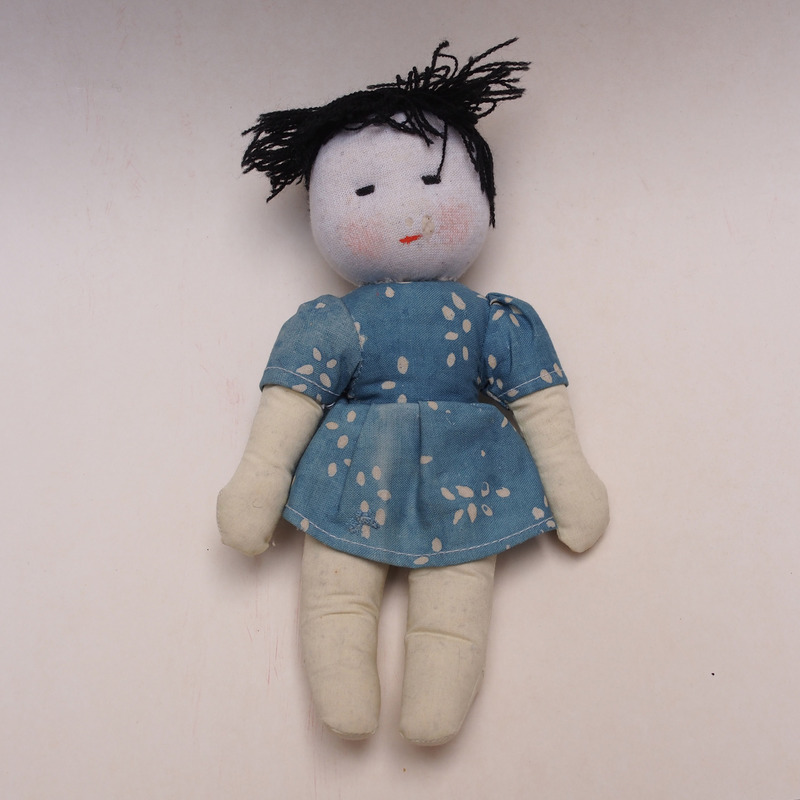 Also featuring are the creations by artists from Soil; Cotton Car, Denise Chan, Furze and Seung. 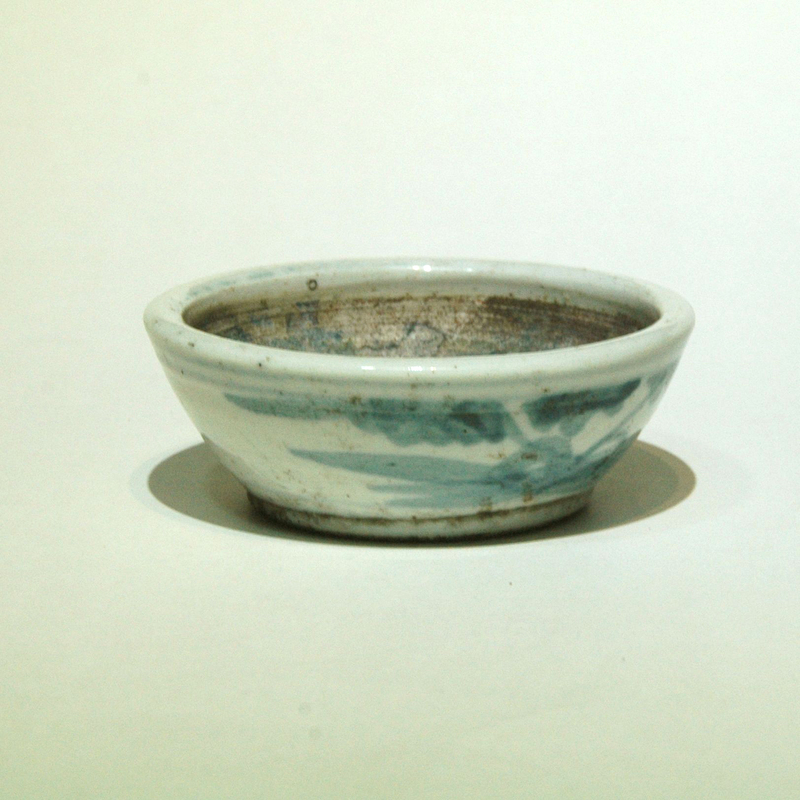 This is a small pottery wine cup, its small size is suitable for drinking games where one would bottoms up quite frequently. A group of drinkers in sitting in a circle, each counting a number from 1 to 99, the first person will say 1 and the second 2 and so on. On the number that contain the number 7 or the multiple of 7 (e.g. 7, 14, 17, 21, etc), the person saying it till has to slap someone else’s head. The person who got it wrong will have to drink up. Sound simple, wait till you have a few cups of Chinese wine. 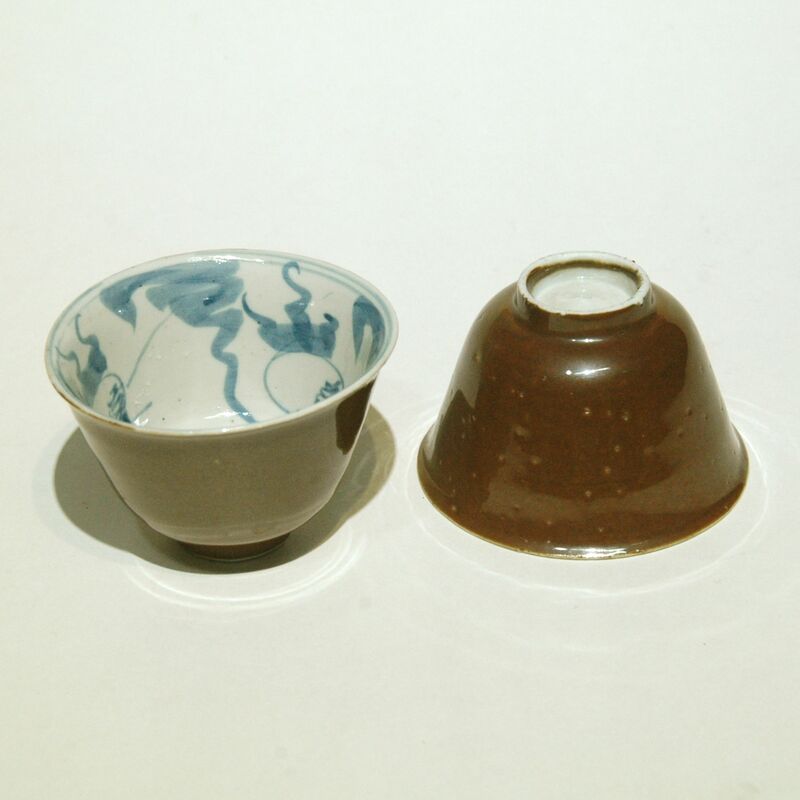 These pair of cups has a brown glazing (known as the soy sauce glaze) and internally a hand painted blue and white porcelain goldfish pattern. The goldfish pattern is a traditional Chinese pottery decoration; the word goldfish (金魚) and the word gold & jade (金玉) are heterographs (same pronunciation, but different meaning and spelling), a bowl full of golden fish is hence a house of wealth. 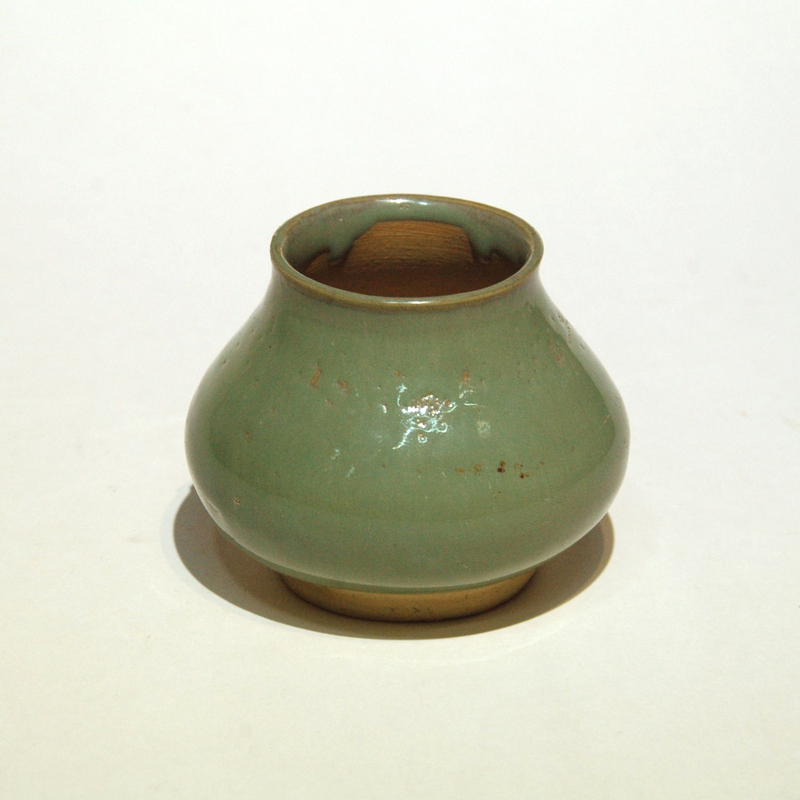 This is small vase is a stationary, a water drip for diluting the ink. 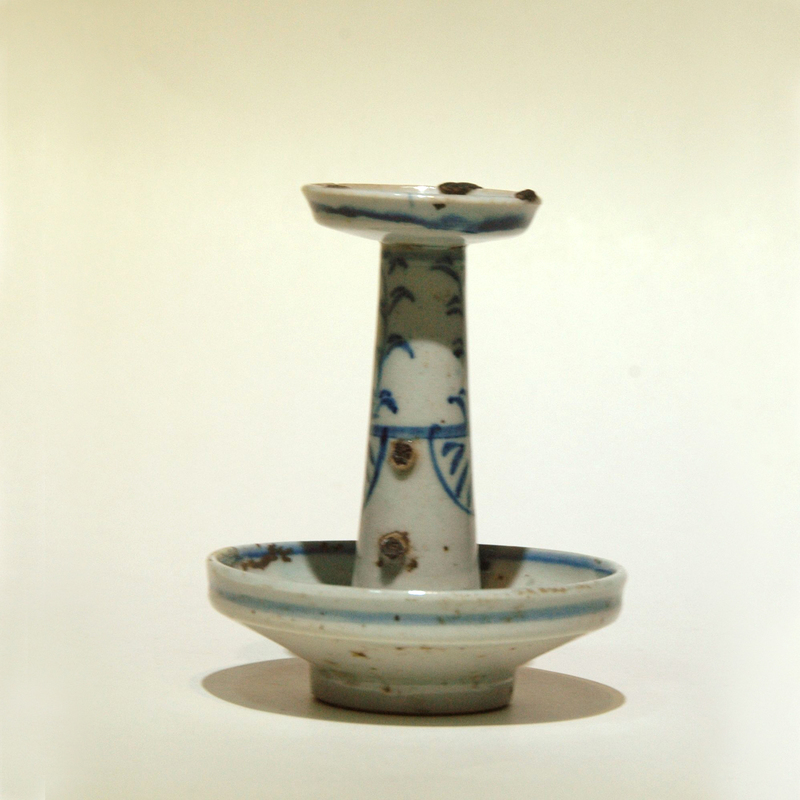 The 2 other water drips featured in our previous posts ,which both has a mouth piece, those are known as “shui zhu”, one like this is known as a “shui cheng”. Water drip is one of the essential stationary besides the fundamental 4; paper, brush, ink and inkstone. 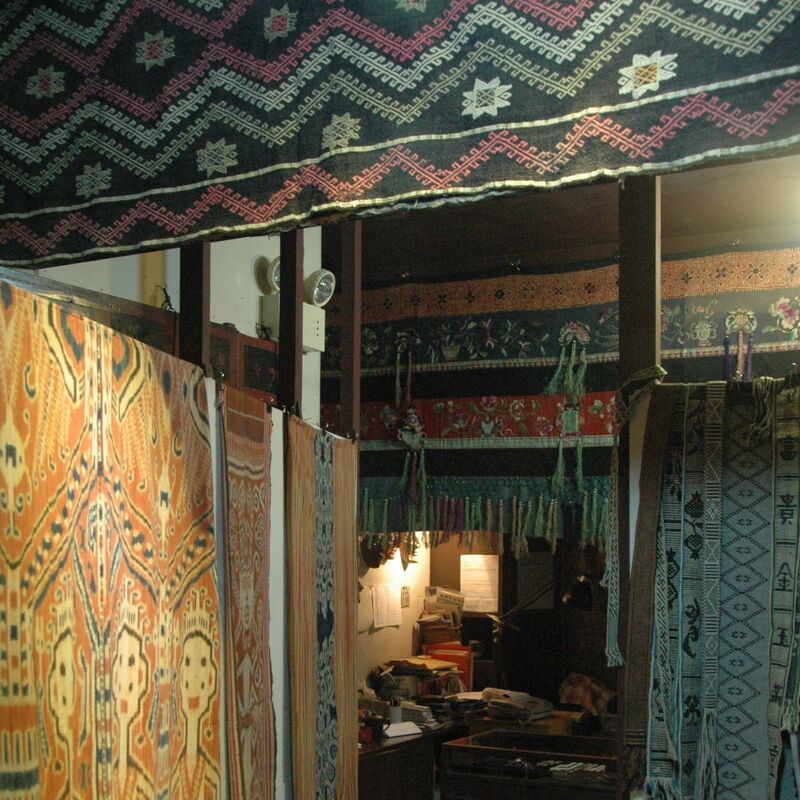 Its small size and its basic utilitarian function enable the craftsman to be more expressive on the material, form and decorations. 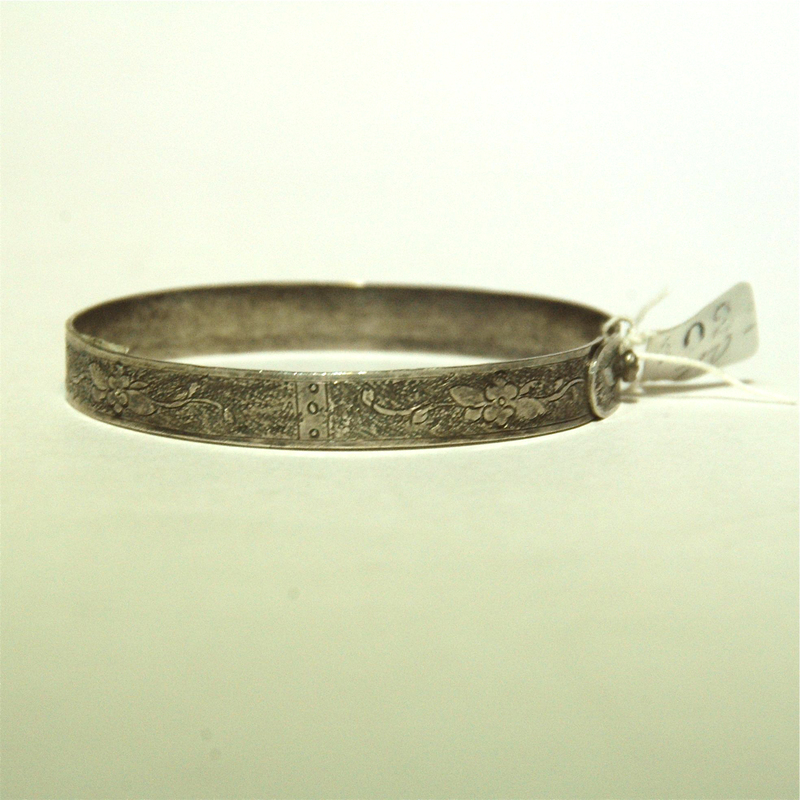 The water drip is an articulated item for the scholar, an item kept at the desk which would reflect the owner’s passion. I tried hard to think of an equivalent object for today’s scholar and failed, at best an old fountain pen and at worst a desktop pattern. Is it because nowadays we owned too many objects? Or has the digital life leave us little individuality? For those of us who grew up going to Japanese restaurants in Hong Kong, eating out of the black / red shiny bento boxes is a norm, so much that it becomes a symbol in our mind. But anyone ever wonder why there are so many black plastic containers? 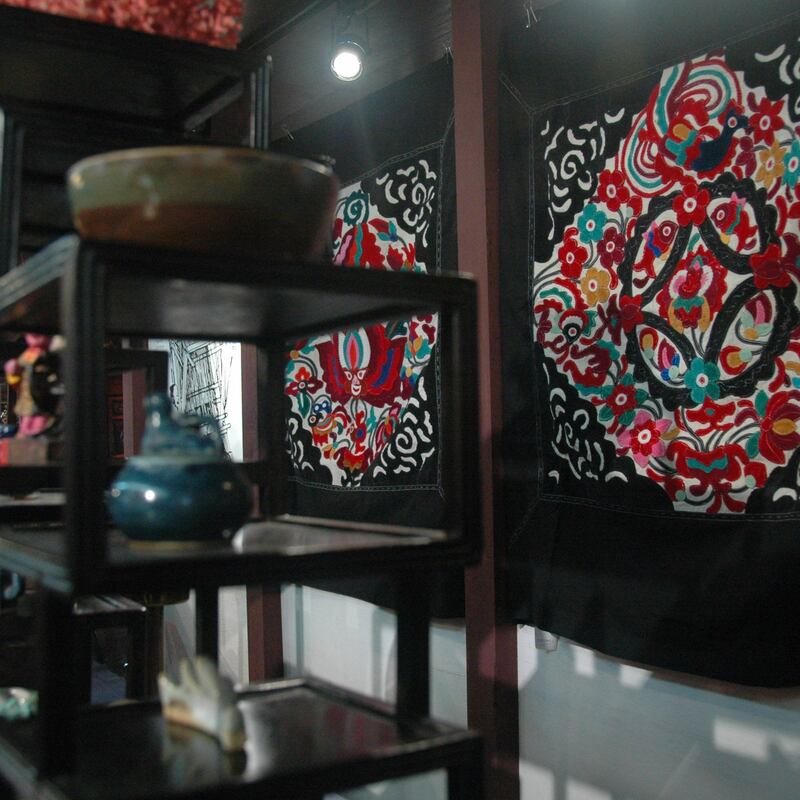 They are actually a replica of the lacquer ware that would have been traditionally used. 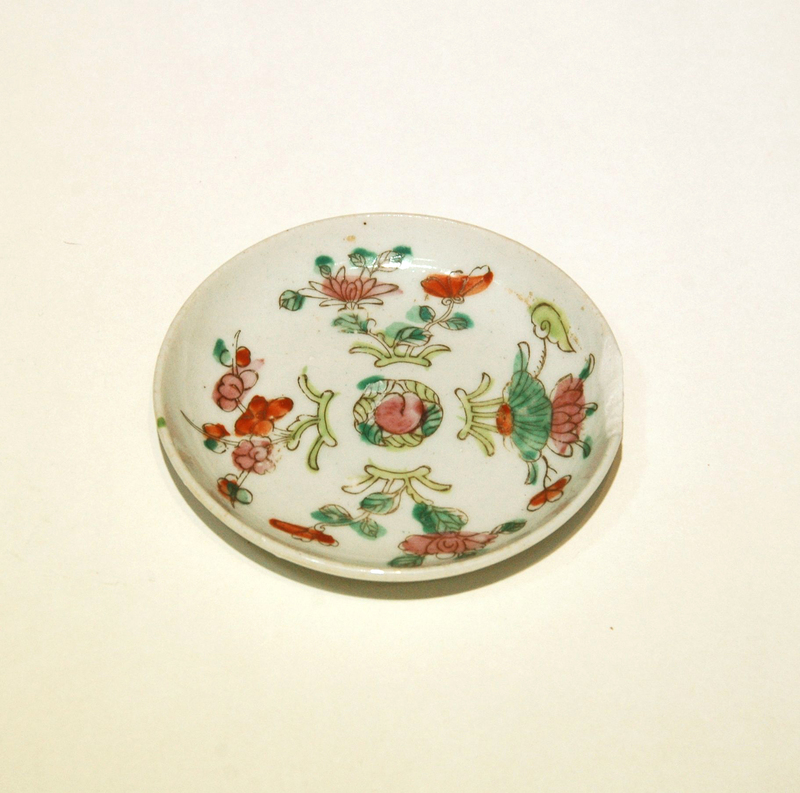 Those are probably the closest some of us get to know of lacquer ware. 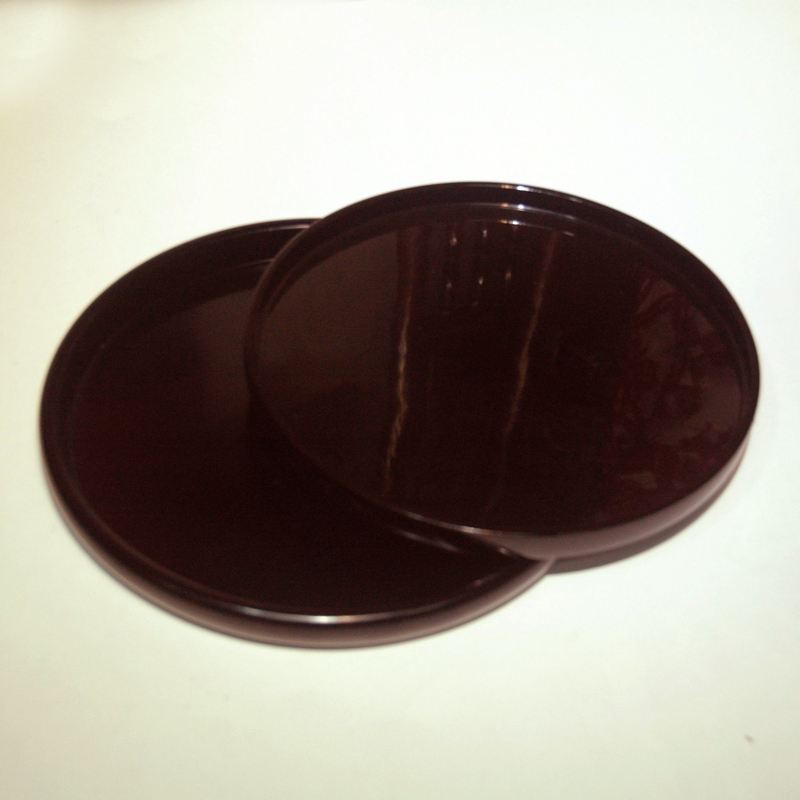 You will be surprised that the price of this handmade lacquer tray is not any more expensive than a good quality plastic one, and if you handle it with care (avoid soaking in water and the use of abrasive cleaner) it will last just as long. 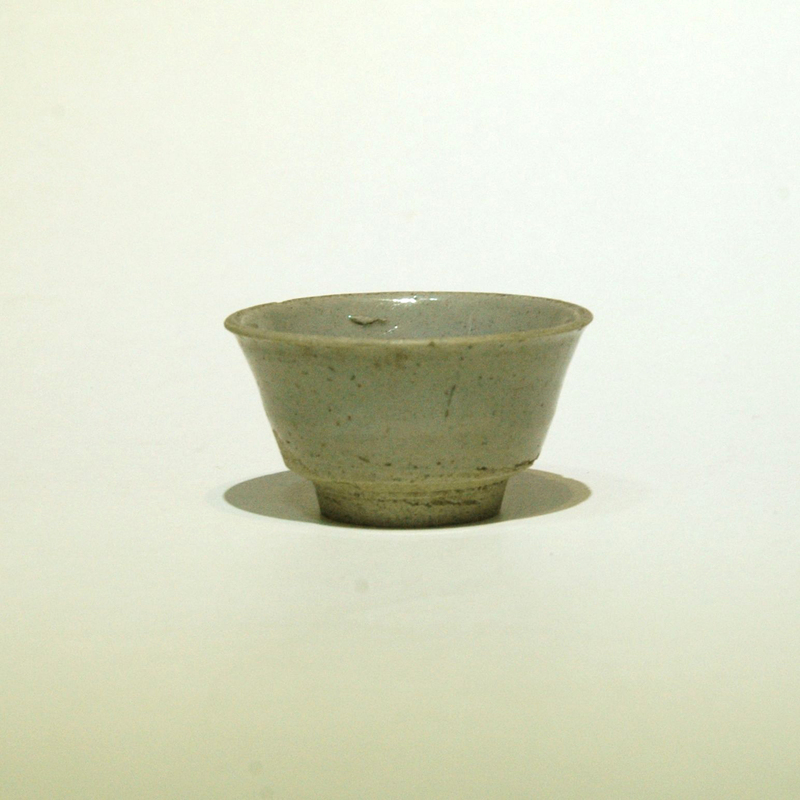 Make this your first lacquer ware!